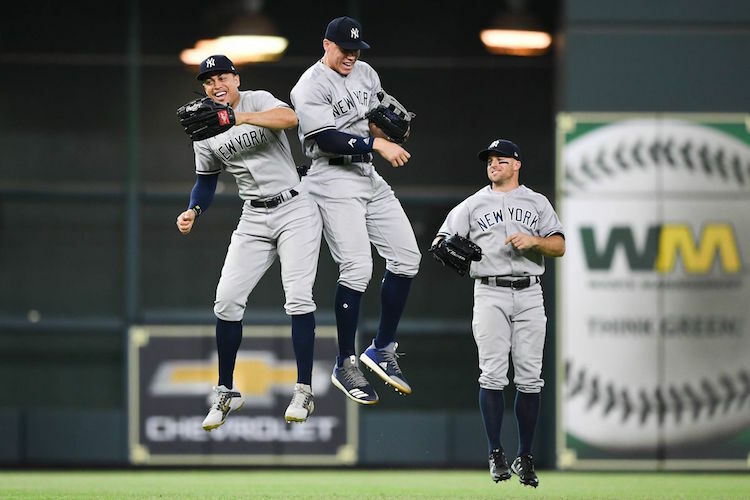 After the way the Yankees came back against the Indians and then took the Astros to Game 7 and then got rid of Chase Headley and traded for reigning MVP Giancarlo Stanton, this is what I thought the 2018 Yankees season would be like. When I left Rogers Centre after the second game of the season, that’s exactly what the 2018 season felt like. But then, after falling apart in Games 3 and 4 and then losing three of four at home to the should-have-started-rebuilding-last-year Orioles and then getting embarrassed in two out of three in Boston and then getting embarrassed at home by the Marlins, I thought this season might end up more like the 2013-2016 seasons and not the way the 2017 season ended. But since the lowest point of the season on April 17, the Yankees have won 13 of 15, including a nine-game winning streak. They have gone 13-2 in a 21-game stretch I said would decide if I had a baseball season to watch this summer. I have a baseball season to watch thanks to this run. Exactly two weeks ago, the Yankees lost to the Blue Jays, fell to 9-9 and trailed the Red Sox by 7 1/2 games. Now they are 21-10 and trail the Red Sox by 1 game. I haven’t seen a division lead dissolve that fast since the Yankees blew a seven-game lead after the 2015 trade deadline. The scariest part about the Yankees is that they aren’t even as good as they can or will be. Yes, a team with a .677 winning percentage that just won three in a row on the road against the defending champions can be better than they have been. Here’s how that’s possible. The 2018 Yankees have finally become the team I envisioned they could be in the offseason and the team I watched them be in Toronto in the first two games of the season. This is going to be one fun summer.